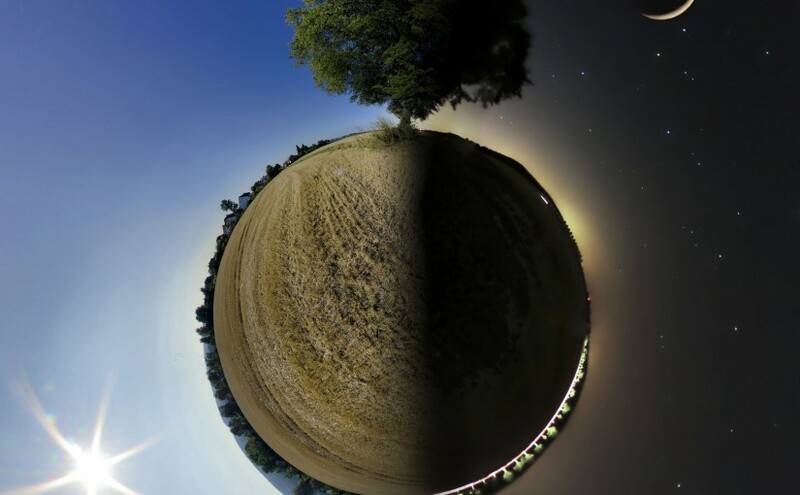 Twinfant Tuesday: Distinguishing Night from Day | How Do You Do It? Switching kids from vacation to school mornings is no fun. They’re grumpy enough that vacation is over. The earlier wake up time just adds insult to injury. The end of winter break got me thinking about sleep patterns. I worked through December, with two days off (Christmas Eve and Christmas Day), but my daughters were out of school for the second half of the month. For the first time, I didn’t send them to daycare or a winter break camp. Instead, I worked from home and let the twins stay home with me. Although I stayed on my regular work routine, my daughters stayed up later than usual and slept in. They loved having a full day for games of pretend, fort building, board games, and reading. And yes, I allowed them 2 hours of screen time per day, a quantity usually reserved for weekends. Transitioning from an 8 am wake up time to 6 am for school wasn’t going to be fun for anyone. I did some reading on circadian rhythms and body clocks. Most of what I read, I already knew and had begun to put in place. One thing surprised me: the impact of exposure to electronic screens. More on that later. Parents fixate on sleep. We worry about whether our children are getting enough sleep, whether the sleep is happening at the right time, and whether our children will ever again let us sleep enough to feel rested. Whether or not we’re consciously aware, every parent has at least one sleep goal for their newborn: distinguishing night from day. As they grow, we want our children to develop sleep patterns that involve increasingly long stretches of sleep at night and increasing short stretches of sleep during the day. We’re built for such sleep patterns. Our bodies produce a chemical called melatonin, and how much we produce is tied to the time of day. Melatonin levels, in turn, tell our bodies whether it is sleep time or wake time. 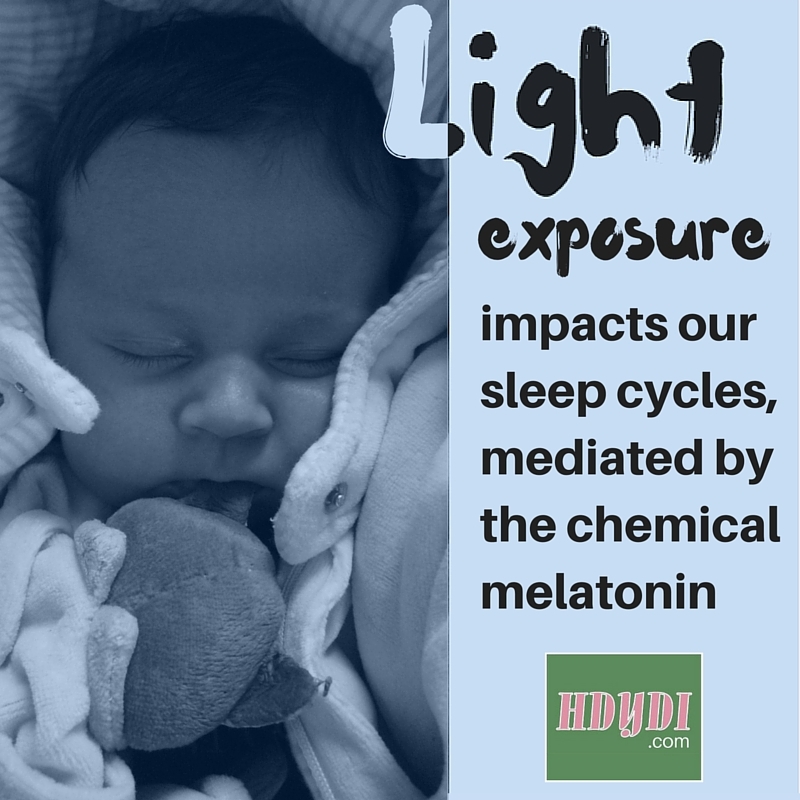 The way that our bodies determine how much melatonin to create is strongly influenced by light exposure. It’s very logical. In the thousands of the years humans were around before the invention of the light bulb, we could rely on the timing of sunlight to regulate our sleep-wake cycles. My daughters have a good friend who is blind. While I now allow some flexibility in my 9-year-old girls’ sleep time, their blind friend gets no such luxury. Without light input to help regulate to her body clock, she is wholly reliant on routine to keep her on the same sleep-wake schedule as her peers. Sleeping in on weekends or staying up late as a treat isn’t worth the disruption that it would cause her. Electric lights may do something to mess with our body clocks, so it wouldn’t be a bad idea to start dimming lights as bedtime approaches. I babysit my friends’ 8-month-old with some regularity, and he goes down for the night easiest when I don’t turn on lights in the house as the sky darkens. He’s an active, curious little boy who tends to fight sleep, but the changes in light quality after sunset have an unmistakable effect on him. The thing that hadn’t occurred to me until I started to research it more is that electronic screens, even those used for reading, can trick our bodies into thinking it’s still daytime as we’re trying to wind down for the night. After I read that little fact, I adjusted our “Kindle time doesn’t count as screen time” rule to “Kindle time doesn’t count as screen time, but any reading within an hour of bedtime must be on paper.” And of course, no other types of screen time, whether a game or a show, is allowed within that same pre-bed wind-down hour. Ideally, that wind-down hour would be two hours, but a full-time job and commute makes that impossible. When the girls are on the computer until close to bedtime because of homework, I can dim the screen as much as possible. If rejiggering your family’s light exposure doesn’t work or isn’t an option as your kids are returning to their school schedule, you can actually buy melatonin in pill form. Please, before acting on this option, speak to your child’s pediatrician and go with the lowest available dose, 0.5 mg or less. It seems that the best time to take a dose is around 6:00 pm, which sets your school-aged child up to be sleepy right around bedtime. Unless your child has a confirmed sleep disorder, there should be no need to use melatonin over the long-term. It’s especially helpful when switching sleep patterns, for example after a trip to counter jetlag, or if you work a night shift. Do you take light exposure into account when you consider your family’s schedule? 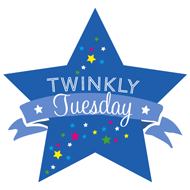 Twinfant Tuesday: The Secret to Synchronizing Twin Naps – Wake Em Up! Twinfant Tuesday: What Exactly Is “Sleeping Through the Night”?